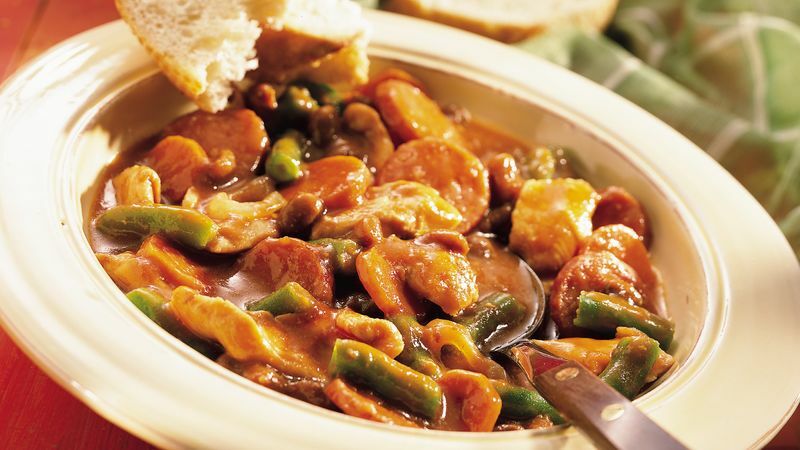 In 3 1/2 to 4-quart slow cooker, combine all ingredients except green beans; mix well. Cover; cook on low setting for 6 to 8 hours or until chicken is no longer pink in center. Ten minutes before serving, stir in green beans. Increase heat to high setting; cover and cook an additional 10 minutes or until green beans are crisp-tender.